[UPDATED Dec 2016] The UK spent £3.5bn on temporary housing for the homeless in the last 5 years. That's 40% up from the £2bn spent over 4 years, the available figure when this article was first published in 2013. The UK has spent almost £2bn housing vulnerable homeless families in short-term temporary accommodation, according to new research by the Bureau of Investigative Journalism, which demonstrates the dramatic scale of Britain’s housing crisis. Rising private rents, a shortage of affordable housing and benefit cuts have forced local authorities, particularly in London, to place increasing numbers of households into bed and breakfast accommodation, hostels and shelters. With the number of houses built in Britain falling to new lows, according to figures released last week, a four-month study by the Bureau drawing on local authority disclosures, has revealed that £1.88bn – enough to build 72,000 homes in London – has gone on renting temporary accommodation in 12 of Britain’s biggest cities over the past four years. Campaigners have said welfare changes will exacerbate the problem. Official figures show that in London alone 7,000 families dependent on benefits stand to lose more than £100 a week under the ­benefit cap, and many are expected to become homeless as a result. A separate investigation by the Bureau has uncovered fresh evidence that London councils are rapidly accelerating the rehousing of homeless households outside their home boroughs. 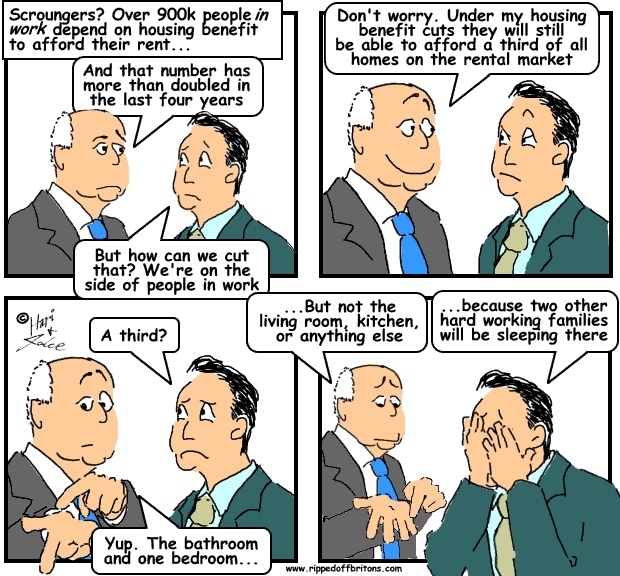 Some 32,643 homeless households have been rehoused out of their borough since 2009. In the year to April, 10,832 households were rehoused in this way – a 15.86% rise on the previous 12 months. Most left the more affluent districts of inner London for the cheaper outer suburbs, although an increasing number of London’s homeless are being moved to towns outside the capital, such as Dartford in Kent, Slough in Berkshire and Spelthorne in Surrey. Officials at the ‘destination’ boroughs have said that the influx of new households has put a significant strain on local services. Councillors in Enfield in outer London, where more properties and B&B rooms are secured by London authorities than anywhere else, have said the demand from inner London authorities is pushing up private rents and placing untenable pressure on school places. The Labour leader of Slough council, Robert Anderson said: ‘If authorities put people in our area with complex needs, or even just families; they need to inform us. If we know where they have come from we can make sure that the borough does not shirk (its) responsibilities and just pass on their more difficult clients. The housing minister, Mark Prisk, insisted last night that councils should be careful about placing families in B&Bs far from their home borough. "There is absolutely no excuse for families to be sent miles away without proper regard for their circumstances." But Prisk also defended the policy of removing families on benefit from central London. ‘Nor is it right that those living on benefits should be able to live in parts of the capital that those who aren’t reliant on this support couldn’t afford to,’ he said. Jeremy Kite, Dartford council’s Conservative leader, called on London councils to use savings they make ‘outsourcing’ their homeless outside the capital to create a ‘new homes fund’. ‘London councils receive all the benefits of high levels of council tax which arise from their property values and this means there’s a strong moral case for them solving their own housing problems,’ said Kite. Households accepted as homeless by their local council will often be placed in temporary accommodation until a more permanent home can be found for them. 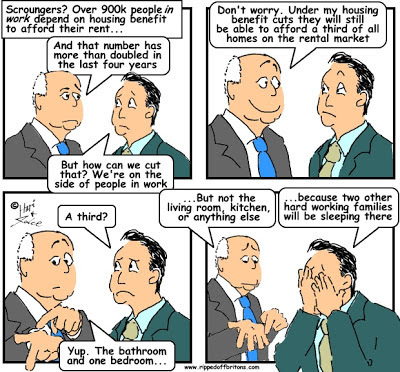 There are 53,130 households living in temporary accommodation at the end of 2012 – 9% higher than the previous year. As latest government figures show there are 53,130 households living in temporary accommodation at the end of 2012 – 9% higher than the previous year – a leading law firm is preparing a class action against councils who keep families in B&B for longer than the statutory maximum six week limit. But Bureau data shows that in the past year alone, spending by 12 of Britain’s biggest cities on B&B rooms increased by 25.34% to £91.1m. Jack Dromey MP, Labour’s Shadow Housing Minister, said: ‘Ministers’ failure to get a grip on this crisis is causing misery for tens of thousands of families who are being uprooted from their local communities, friends, schools and places of work. The Bureau’s data shows the amount spent on all temporary accommodation across 12 of Britain’s biggest cities was up 5.7% to £464m last year. And London councils have budgeted for further significant overall rises this financial year. Since 2009, London councils have secured 5,827 properties and B&B rooms in the three outer London boroughs of Enfield, Waltham Forest and Haringey alone. The borough suffering the worst homeless crisis in the country appears to be Newham, in east London, which has spent £185.2m placing people in temporary accommodation since 2009. The Bureau established the gross cost of placing people in temporary accommodation. Councils do claw back a significant amount of the gross figure from the Department of Work and Pensions in the form of housing benefit. The gross figure indicates the true cost to the taxpayer of Britain’s housing crisis. Additional Reporting: Miranda Atty and Jude McArdle. And how many are economic migrants?